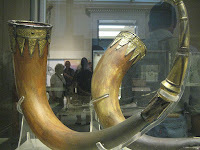 It is a popular idea that Vikings used the skulls of their enemies as drinking vessels. This is not inconceivable, for there is good evidence that this has happened since the dawn of mankind. A skull cup is a drinking vessel made from an inverted human brain-case that has had the remainder of the skull cut away. The use of human skulls as a drinking cups in ritual use or as trophies is recorded in sources throughout history and among various peoples. Among Indo-European cultures this is most often associated with the nomadic cultures of the Eurasian steppe. Is there evidence this persisted through to the Viking period, and if not, where did this idea come from? 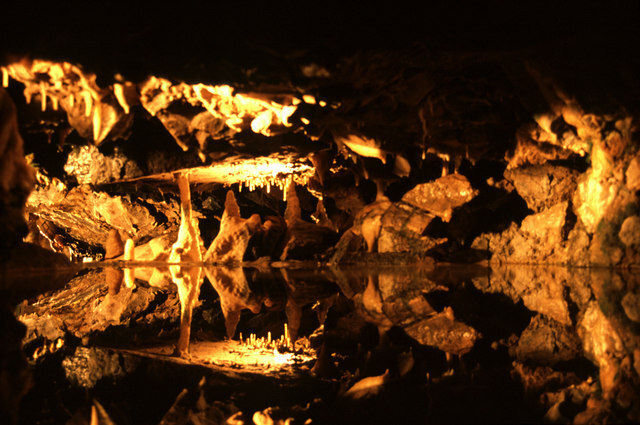 The earliest directly dated skull cup at 14,700 BP comes from Gough's Cave, Cheddar Gorge, England. This shows cut-marks from de-fleshing and working to produce a regular lip from which to drink. The Scythians are reported by Herodotus (484 – ~425 BCE) and later Strabo (63/64 BCE – ~24 CE) to have scalped and beheaded their enemies to make drinking bowls. This is confirmed by archaeological evidence. Excavation of a Scythian fort in Bel’sk, on the tributary of the Dneipr river, dated to around 700-300 BCE revealed several skull-pans which had been converted for such use. Krum (the Horrible) of Bulgaria was said to have made a drinking cup lined with silver from the skull of the Byzantine emperor Nicephorus I (811 CE) after killing him in the Battle of Pliska. The Russian Primary Chronicle records that the skull of the heroic Svyatoslav I of Kiev was made into a chalice by the Pecheneg Khan Kurya (972 AD). He likely intended this as a compliment to Sviatoslav; sources report that Kurya and his wife drank from the skull and prayed for a son as brave as the deceased Rus warlord. According to Paul the Deacon, the Lombard Alboin defeated the Lombards' hereditary enemies, the Gepids and slew their king Cunimund, whose skull he had made into a jewelled drinking-cup, and whose daughter Rosamund he carried off and made his wife. She was later revenged, arranging his assassination in 572/3 CE. However, there is a mythical precedent recorded in the Poetic Edda. Volundarkvida (The Lay of Volund - the Old English Weland the Smith) records that the hero kills the two sons of king Niðad, the enemy who had imprisoned and hamstrung him, and as part of his revenge, gave the king jewelled cups formed from their skulls. There find the bellows blood-bespattered. Rather amusingly, the common toast in Scandinavian lands, "Skøl!" sounds, superficially at least, like the English ‘skull’. 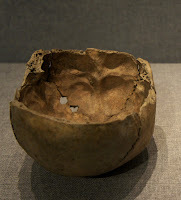 The latter derives from from the Old Norse skalli "bald head, skull," whereas skøl derives from the Old Norse skál - a bowl, via the Proto-Germanic *skéló. Whatever the historical truth, the story of skull drinking-bowls is a fascinating one! "It is a popular idea that Vikings used the skulls of their enemies as drinking vessels." Is this a popular idea? I am trying to clean up part of the Viking wikipedia article that makes this same claim. Can you show me some examples of this "popular idea." When I read the assertion on the WP article I was surprised because I have never seen a depiction of a Viking drinking from a skull. Well yes it is a popular idea. In Sweden the Swedes commonly say "skål" (pronounced skull) when they toast a drink. I was told by many commoners that the reason they say "skål" is because of the vikings and their ancient drinking vessels. (not sure if actually true, but fun any matter).